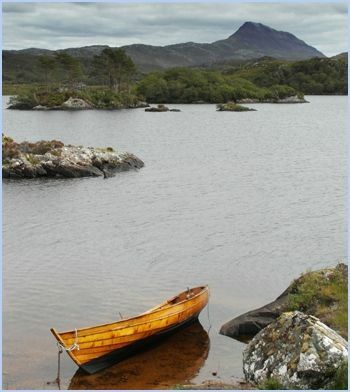 There are many beautiful walks in the Highlands around Lochinver. The local Munros are Ben More, Assynt and Conival. The Grahams and Corbetts in the area are no less stunning, including Quinag, Stac Pollaidh and the iconic Suilven. For the less adventurous, there are gentler walks along the Rivers Inver and Kirkaig (taking in the Kirkaig Falls), around Culag Woods above the village, and on the Little Assynt estate. 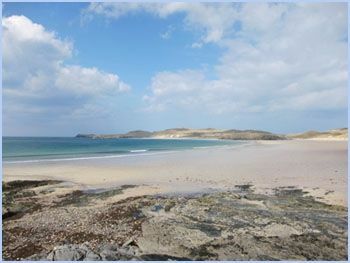 There are also some lovely beaches nearby at Achmelvich, Clachtoll and just further north is the stunning Sandwood Bay; all offering beautiful white sand and clear blue sea. The area is also famed for its geology and is within the North-West Highland Geopark. Assynt offers excellent opportunities for wild brown trout angling. The season begins the 15th March ending 6th October. Between fishing the banks of the hill lochs or trawling Loch Assynt for Ferox trout and salmon there is plenty of water to cover. Fly fishing on the local rivers is available through the season of March to October. The Assynt Highland Games are held in Lochinver on the second Friday of August. 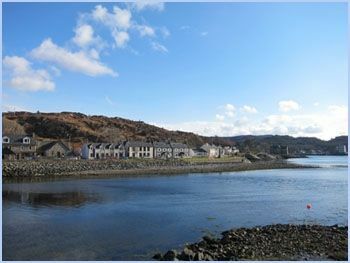 The village of Lochinver offers many amenities during your stay. There are a number of local eateries to suit every budget. We also have grocery shops, a post office, a bank, petrol station and tourist information visitor centre. Highland Stoneware pottery was established in the village in 1974. Achins Bookshop is nearby in Inverkirkaig. 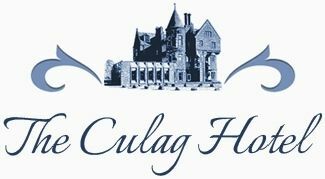 Not far from The Culag Hotel is the fishing harbour and recently extended marina allowing yachts and other pleasure craft to tie up for the evening recharge and refill. The hotel is just a few minutes away and can offer dinner, drinks and Wi-Fi for those travelling by sea. To book a stay with us or for answers to any of your queries, simply give us a call for FREE using the Click-to-Call button and we’ll be happy to help.